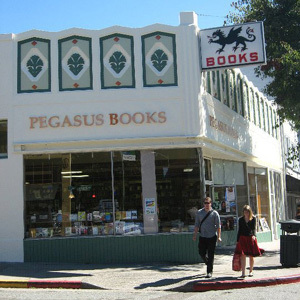 A neighborhood fixture in the Rockridge district since 1971, our Pegasus store in Oakland carries a tremendous selection of new, used and sale books in all categories. Pegasus Oakland also carries the most beautiful selection of cards and blank books in the East Bay, and features a terrific roster of magazines. We pay top prices for your excellent books and CD’s, for cash or trade.